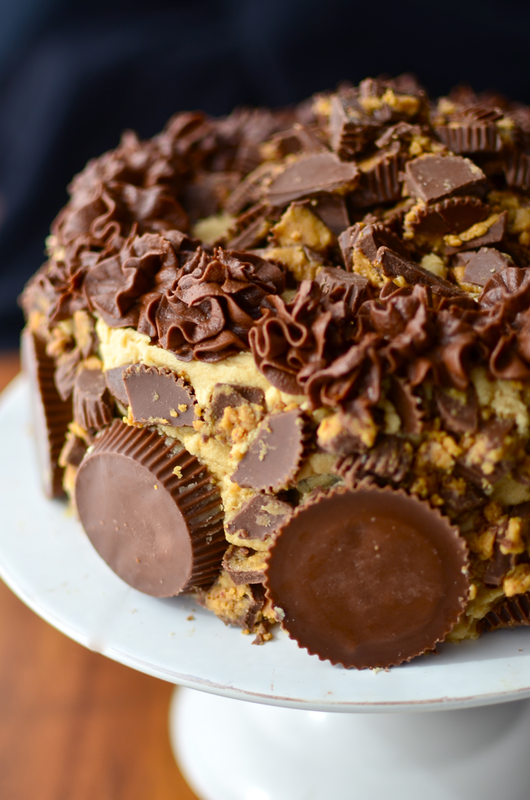 This cake is outrageous in many and numerous ways. First of all, it's the first thing I've posted in almost a month. I know that's ridiculous of me, but I do have an excuse. My boyfriend was visiting all the way from Berlin and he was only going to be here for two weeks. We went on a road trip out to Montana and had a grand old time, and to be honest, I really didn't think of you guys or this blog for a second. I'm sorry (sort of). The second outrage is that I didn't actually make this cake. A few weeks ago my little sister baked this cake for her friend's surprise birthday party. I was sitting around all day thinking, "What could I make to post? 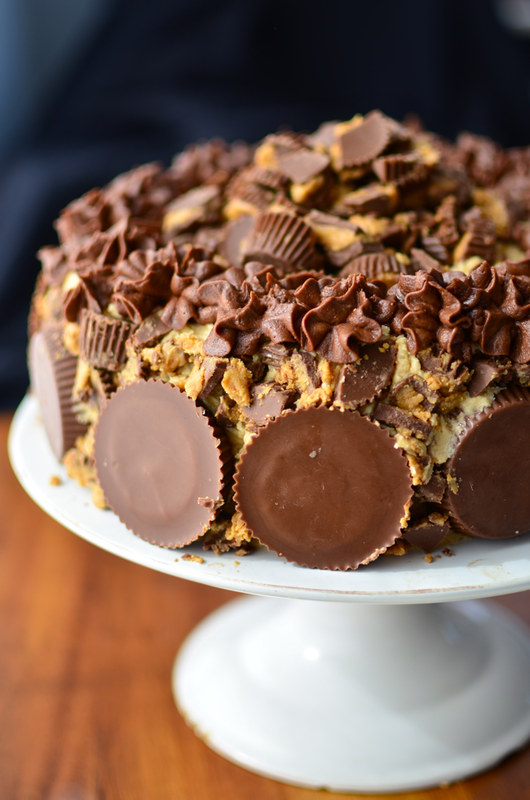 I wish I had something as outrageous as that Reese's cake sitting on the counter." And then suddenly I thought, "Wait... I do." So I grabbed the cake and snapped a few pictures. You may actually remember this cake from Instagram. I couldn't resist sharing the beauty immediately. 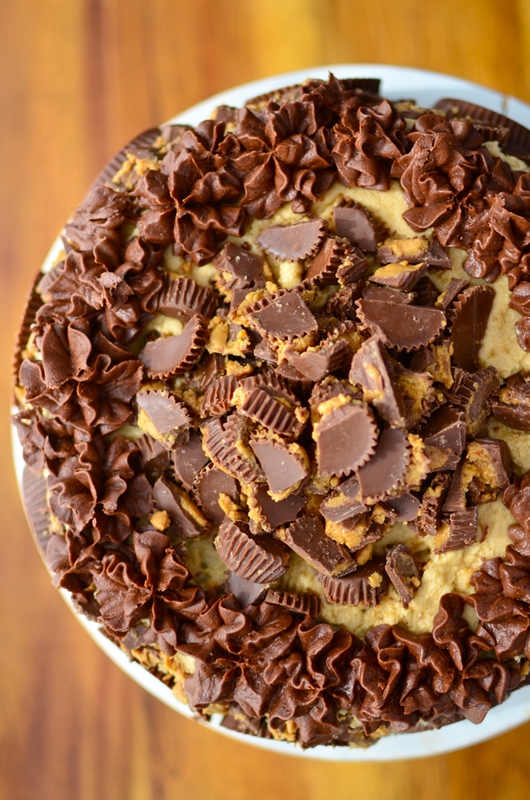 I'm not sure what recipe my sister used for this cake, but basically you could just make this Reese's cake recipe but decorate it with an outrageous amount of Reese's Cups. 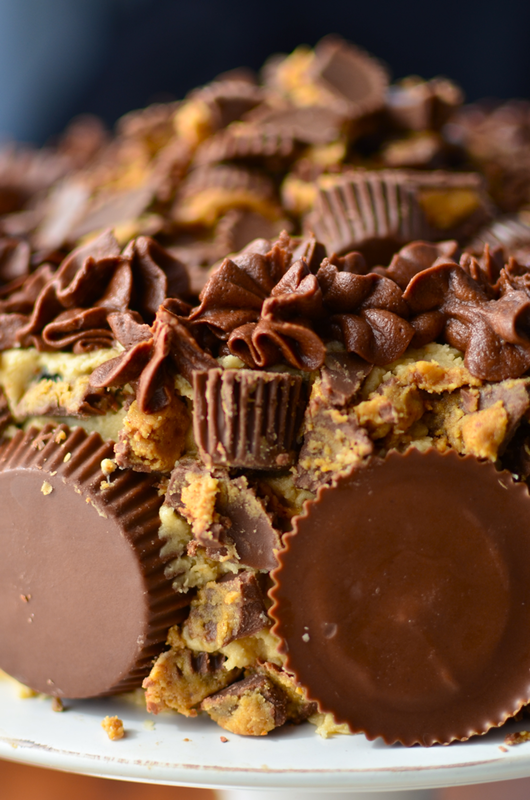 She just chopped up a bunch of small Reese's Cups and pressed them into the edges and piled them on top and then put some big ones on the sides. Then she piped some chocolate frosting on top. Here's a recipe for a small batch of of chocolate frosting you can use for piping. 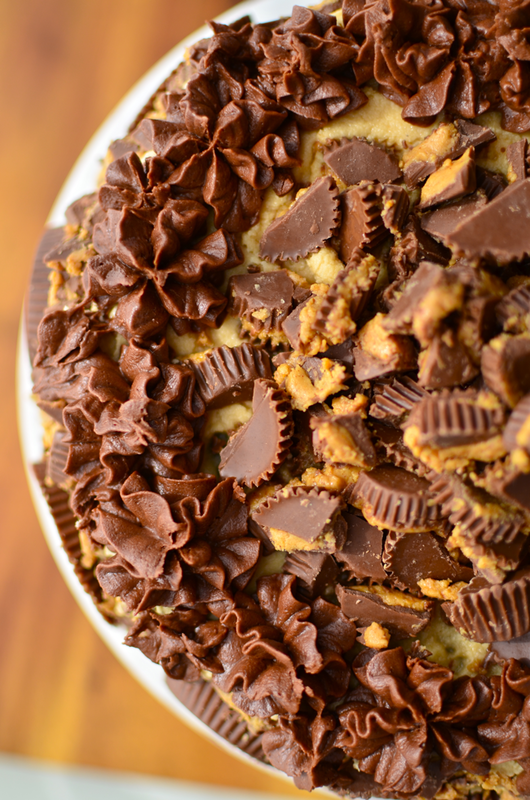 Find the cake recipe here and pipe this chocolate frosting on instead of using the ganache! Melt the chocolate. Beat in the butter. Add the vanilla. Alternately add the powdered sugar and milk until desired consistency is reached.